Julie Dunne et al. 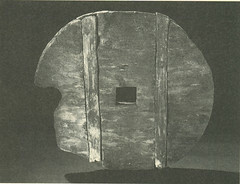 First dairying in green Saharan Africa in the fifth millennium bc. Nature 2012. Pay per view (supplementary information is accessible). In the prehistoric green Sahara of Holocene North Africa—in contrast to the Neolithic of Europe and Eurasia—a reliance on cattle, sheep and goats emerged as a stable and widespread way of life, long before the first evidence for domesticated plants or settled village farming communities1, 2, 3. 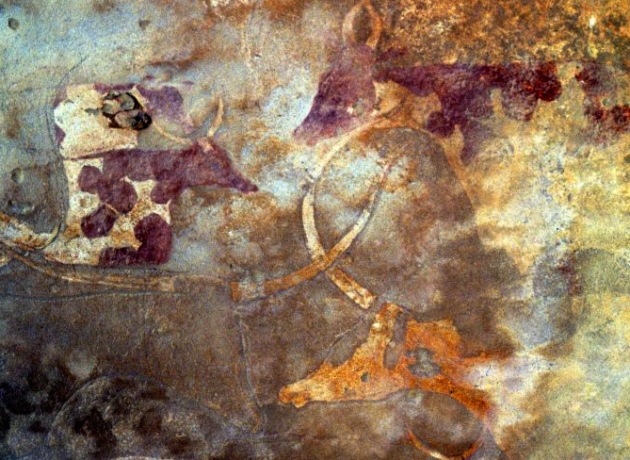 The remarkable rock art found widely across the region depicts cattle herding among early Saharan pastoral groups, and includes rare scenes of milking; however, these images can rarely be reliably dated4. 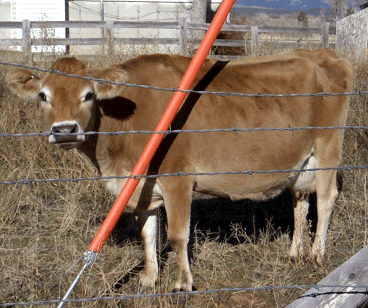 Although the faunal evidence provides further confirmation of the importance of cattle and other domesticates5, the scarcity of cattle bones makes it impossible to ascertain herd structures via kill-off patterns, thereby precluding interpretations of whether dairying was practiced. Because pottery production begins early in northern Africa6 the potential exists to investigate diet and subsistence practices using molecular and isotopic analyses of absorbed food residues7. This approach has been successful in determining the chronology of dairying beginning in the ‘Fertile Crescent’ of the Near East and its spread across Europe8, 9, 10, 11. Here we report the first unequivocal chemical evidence, based on the δ13C and Δ13C values of the major alkanoic acids of milk fat, for the adoption of dairying practices by prehistoric Saharan African people in the fifth millennium bc. Interpretations are supported by a new database of modern ruminant animal fats collected from Africa. 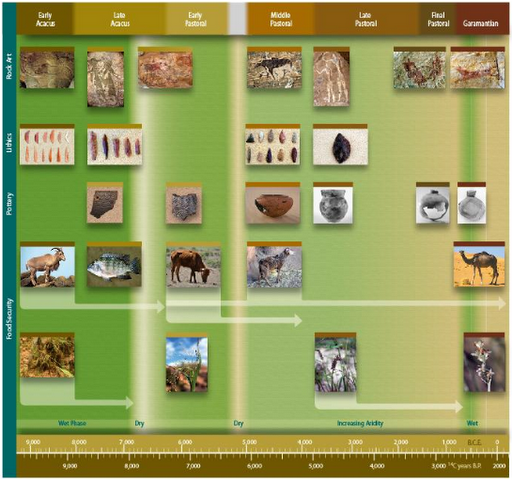 These findings confirm the importance of ‘lifetime products’, such as milk, in early Saharan pastoralism, and provide an evolutionary context for the emergence of lactase persistence in Africa. While there are some related articles (different author) that propose yogurt instead of milk as being the actual consumed product, this seems mostly a molecular-clock-o-logic wild speculation. Otherwise, the invention of yogurt is generally attributed to the steppe peoples (or Indians maybe) and arrived to the West only in the Middle Ages. 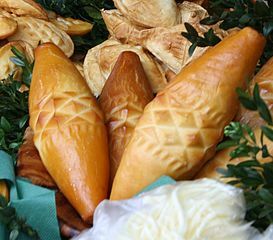 There is no classical source discussing it at all (cheese or butter however are mentioned, as is raw milk) and instead Medieval Arab sources consider it a typical Turkish product. No African tradition exists of yogurt, unlike the case of butter or diverse ways of drinking raw milk, be it alone or mixed with blood. 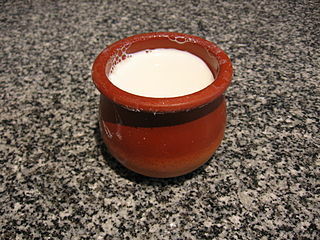 Most likely, as in Europe and elsewhere, the relevant alleles pre-dated Neolithic changes (after all there’s no advantage in lactose intolerance, so no reason why it would have been fixated other than random drift) although they may have been somewhat favored by the development of Neolithic dairying, specially in areas where other foodstuffs were not easily available. 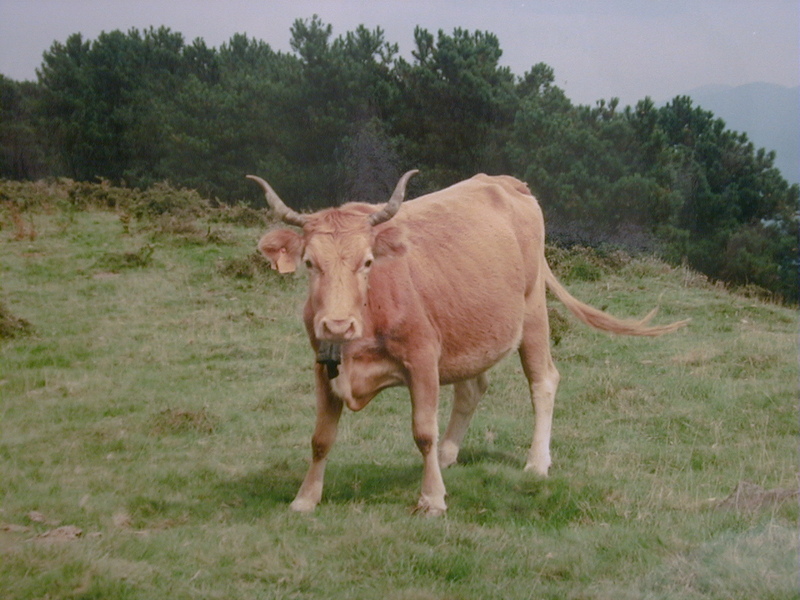 Equivalent evidence of dairying in Europe is from similar dates (or somewhat earlier in the Balcans and West Asia). The same as Neanderthals did not completely go extinct but live in us (albeit in very small apportion), another magnificent creature from old also survived extinction by means of hybridization. 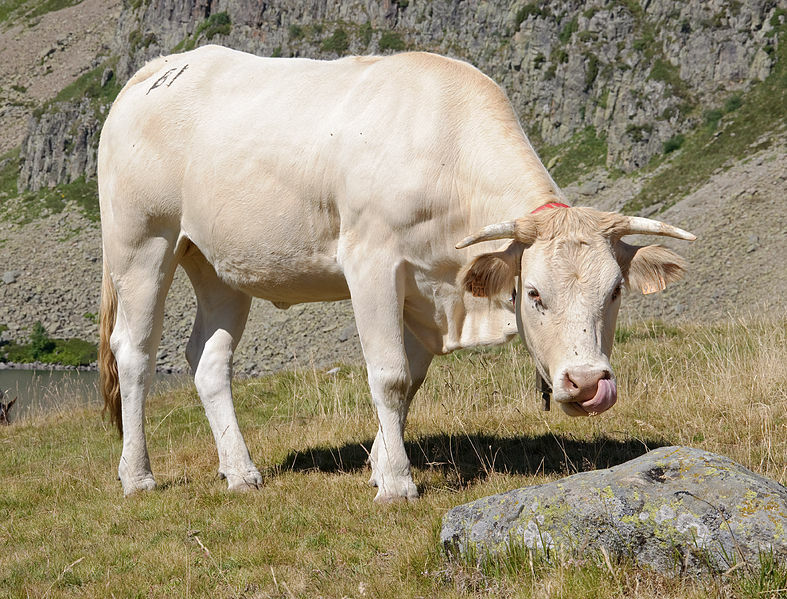 Mitochondrial DNA haplogroups known to be from ancient aurochs, whose last known representative died in 1627, have been discovered in Italian cattle, amounting to as much as 1.5% of the sampled individuals. The lineages belong to three haplogroups: P, Q and R. P and Q had already been sequenced in pre-Neolithic European bovines (aurochs) but so far no P had been detected among modern cattle (in this case only one individual). 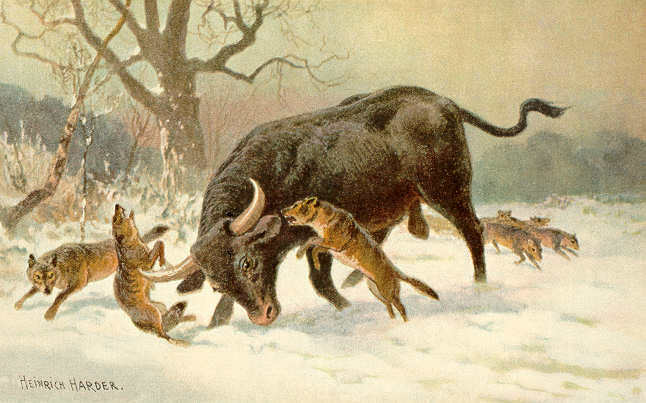 A novel haplogroup, R, was also sequenced in several animals and, because of its even more archaic phylogeny, it is also believed to be an aurochs and not a domestic lineage. Silvia Bonfiglio et al. The Enigmatic Origin of Bovine mtDNA Haplogroup R: Sporadic Interbreeding or an Independent Event of Bos primigenius Domestication in Italy? PLoS ONE 2010. Open access.